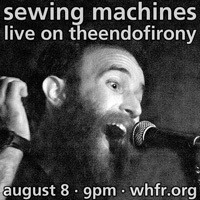 MP3: My Dear Mycroft - "And the Wave Made the Clearing (Live on WHFR, 11-16-11)"
MP3: My Dear Mycroft - "Unknown Title (Live on WHFR, 11-16-11)"
Compiling the performances from our show on Washington Heights Free Radio has been uber fun for us! 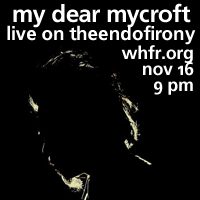 We're almost to the end of the year, and things are about to get even sweeter with two MP3s from My Dear Mycroft's performance on the show. A relatively new band on the scene, trust us when we say we are the forefront of what's up and coming! The final track they performed (and one we didn't know the title of) haunts us with its beauty.